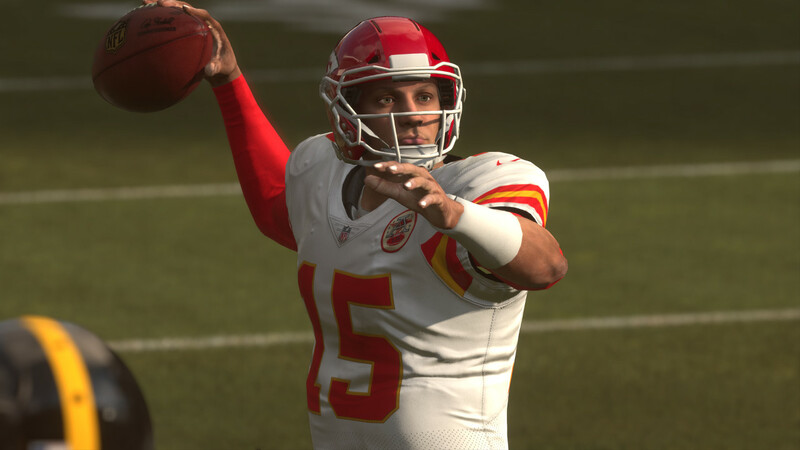 The roster update for Madden NFL 19 featuring ratings changes based on regular season performance through two weeks has gone live to download all systems. Patrick Mahomes and Ryan Fitzpatrick are the big stories so far this year, with the former showcasing a 10-0 TD/INT ratio and the latter leading the league in passing yards. With the upgrades Mahomes has now risen 6 points and Fitzpatrick 10 since the season began. Other notables on the move this week include DeAndre Hopkins (+1 to 95), Travis Kelce (+1 to 95), AJ Green (+1 to 94), Everson Griffin (+1 to 93), Todd Gurley (+1 to 93), Calais Campbell (-1 to 93), Drew Brees (-1 to 92), David Johnson (-3 to 90), Andrew Whitworth (+2 to 90), LeSean McCoy (-2 to 88), and Landon Collins (-2 to 87).